We have been eating a TON of fish in the past few weeks. Salmon has always been one of my all time favorites and there are SO many good recipes. 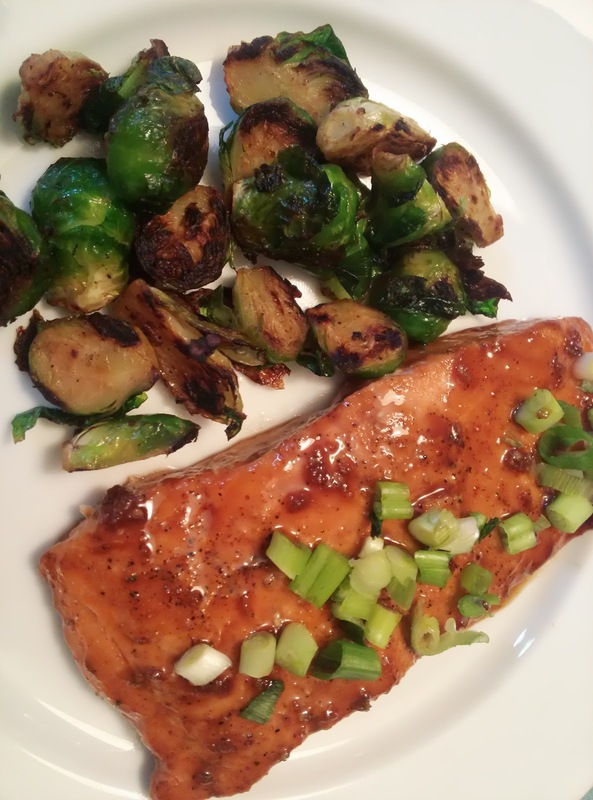 When I was putting together the menu for the week yesterday, I came across this recipe for Apricot Balsamic Glazed Salmon on the Stone Gable blog, and I thought why not. And of course I thought that I had apricot jam, or something close at home, but I didn't. 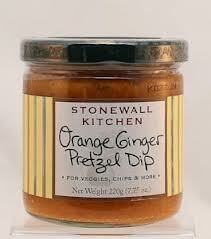 What I did have was Stonewall Kitchen's Orange Ginger Mustard Dip, so I substituted it. I do that quite frequently, where I will see a recipe that looks good, and I might not have quite everything, but it looks good, so I make it my own. Most of the time this works out quite well. This was one of those times. I roasted some brussel sprouts to go with it, delish! Preheat oven to 425. Line a glass baking dish with foil. Place salmon in baking dish and sprinkle with salt and pepper. While the oven preheats in a sauce pan, mix mustard, vinegar, honey and garlic. Simmer for five minutes. Liberally brush with glaze, bake for 10 to 12 minutes. Sprinkle with green onions and serve. This was delicious, we loved it! We just did brussel sprouts on the grill, a nice yummy change from the usual.